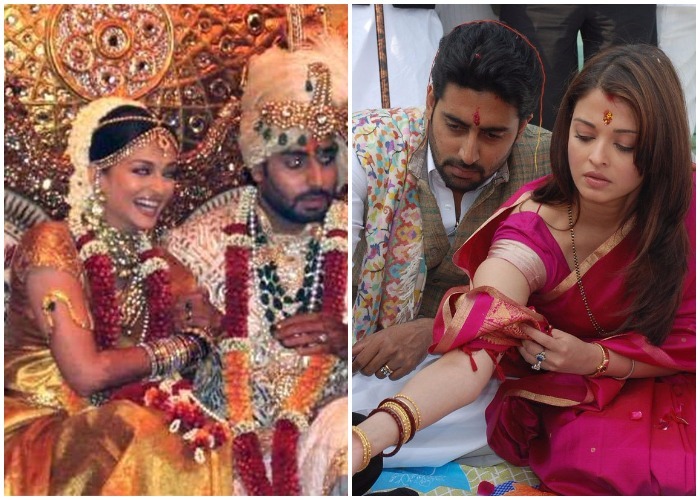 Have a look at some of the ravishing celebrity brides of all time. The wedding season has started the gorgeous brides to be must be looking for wedding dress inspiration everywhere. But don’t you fret, we have this sorted. And guess what, you don’t need to seek so far to get some fashion inspiration. Our television and Bollywood divas make up for the perfect muse for the bridal fineries. Have a look at their wedding photographs and you can get some ideas or two. 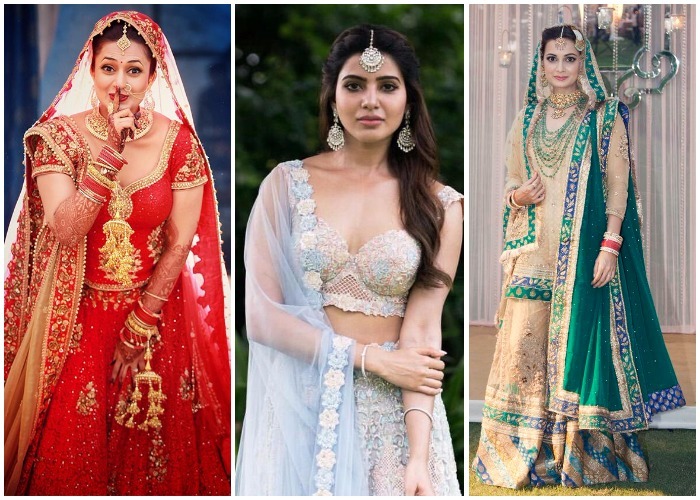 From Divyanka Tripathi to Samantha Ruth Prabhu, we’ve listed the bridal looks of the gorgeous TV and Bollywood actresses. Take a look at the most stunning brides of all time. Let’s begin with the popular TV actress Divyanka Tripathi. In 2016, she tied the knot with her boyfriend Vivek Dahiya in a fairytale wedding. Her pre-wedding photoshoot went viral on social media. She is one of the latest actresses to walk the aisle this year. 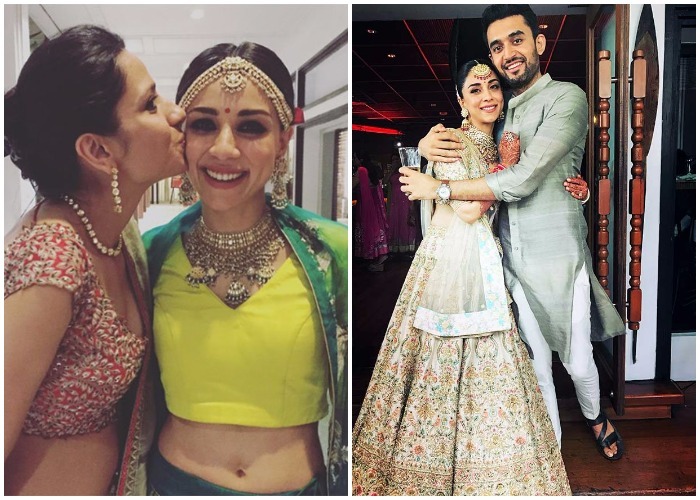 In October, she took the wedding vows with her longtime boyfriend Naga Chaitanya. The two-day wedding was held in Goa. They tied the knot in Hindu and Christian rituals. The daughter of HDFC Bank MD Aditya Puri tied the knot with Mumbai-based restaurateur Imrun Sethi in a lavish ceremony. The wedding took place as per Sikh rituals. The bride wore a peach coloured Sabyasachi lehenga while the groom was dressed in classic cream Sherwani and turban for the ceremony. 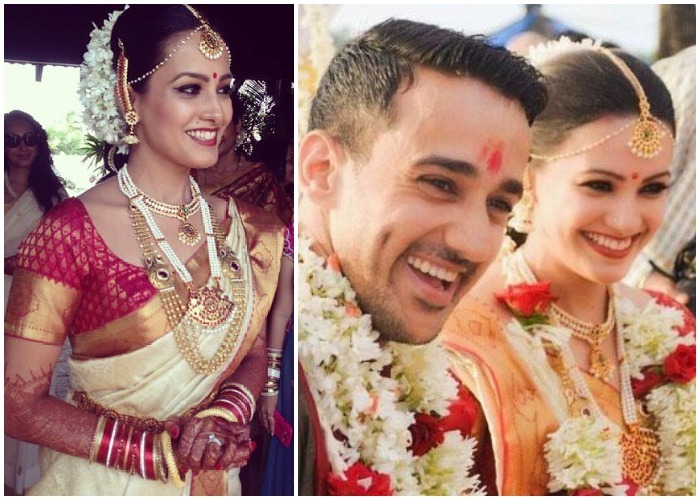 The former Miss Asia Pacific tied the knot with her beau Sahil Sangha on October 18, 2014. 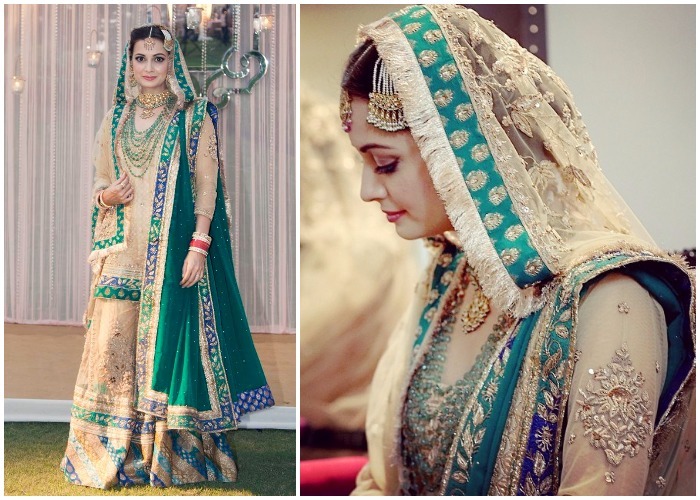 She ditched the traditional red-coloured lehenga and instead chose a green coloured attire for the nuptials. As gorgeous as she already is, Dia Mirza was a stunner in her Ritu Kumar sharara. When the lovebirds Riteish Deshmukh and Genelia D’Souza tied the knot in 2012, the whole B-town was talking about it. The traditional Maharashtrian wedding took place in Mumbai where most of the A-listers of industry were invited. 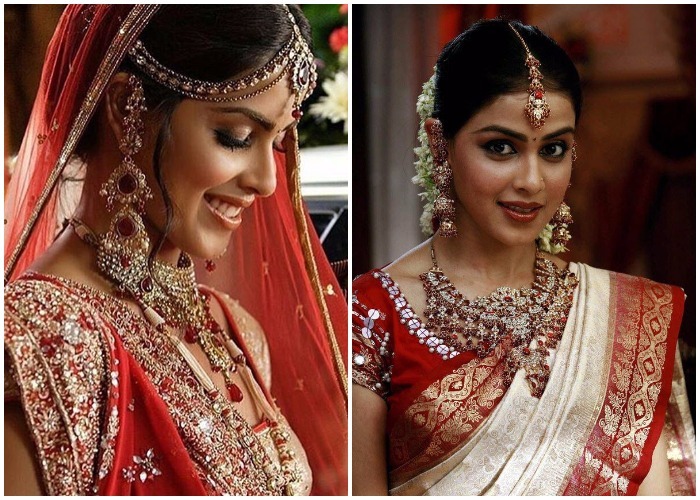 Genelia wore a bridal sari by Neeta Lulla. It had kundan border. She paired her dress with traditional Marathi jewellery. Aishwarya Rai Bachchan donned a traditional yellow Kanjeevaram saree on her nuptials. The sari was designed by the ace-designer Neeta Lulla. She kept her hair braided and adorned them with flowers. She wore 22-karat gold jewellery. The elder daughter of veteran actress Hema Malini wore a red and golden traditional lehenga on her D-Day. The attire was designed by Neeta Lulla. It was combination of three heavy Kanjeevaram sari which was ordered especially from South India. 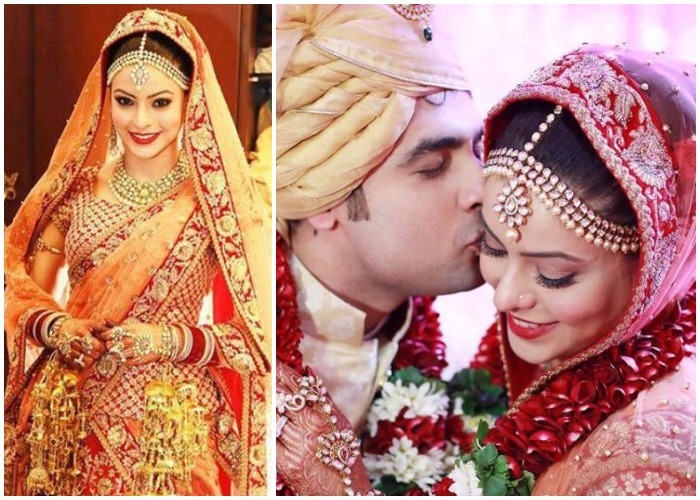 The naturally-beautiful actress Aamna Sharif aka Kashish from Kahin Toh Hoga, wore a mutli-coloured lehenga choli on her wedding. She opted for traditional gold jewellery for her wedding. With the chooda and kalire, she looked like an authentic Punjabi bride. The gorgeous Shagun from Yeh Hai Mohabbatein is even more beautiful than she looks on screen. And on her wedding day, her beauty saw no limits. 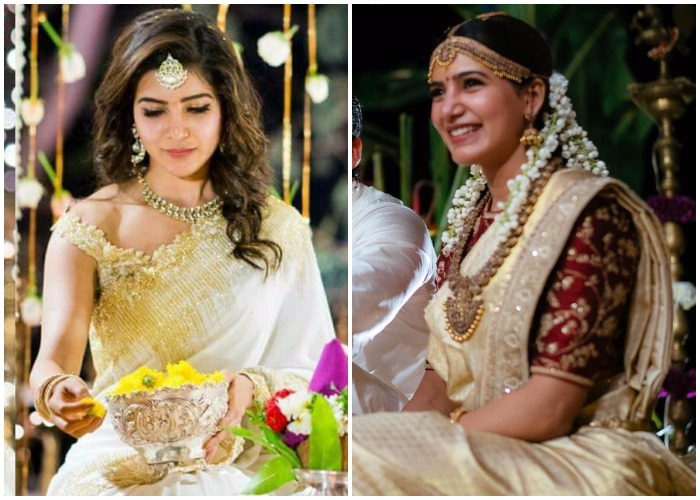 She donned the typical South Indian bridal look on her D-Day. She wore a white and gold Kanjeevaram silk saree with gajra. The temple jewellery in gold and pearl completed her look. 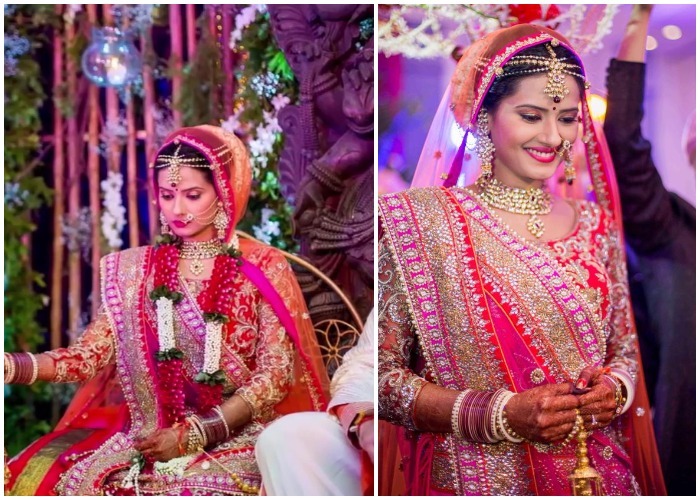 Kratika Sengar tied the knot with Nikitin Dheer in 2014. The Jhansi KiRaani donned a heavy dabka work lehenga in pink and red. In her kundan jewellery she looked like a real life queen as well.